Rainy day chaos reigns this Saturday afternoon. I come to you from inside the abandoned cubby house, hopeful that nobody will join me, and grateful I can’t see the mess out there from in here! However, a bit of mess is not the end of the world and a family pajama day never hurt anyone 🙂 My girls are almost five and almost seven, and when they’re not driving me batshit crazy with their fighting, they are very happy with their crafting and imaginery games and I get to hook quite often now – a far cry from the early years, and it’s great! 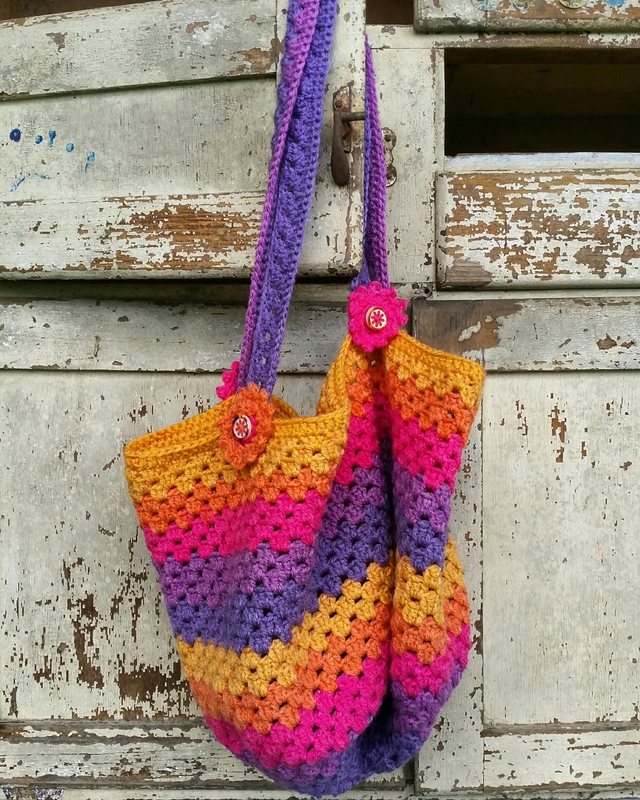 So today I’ve finished my new project bag, using a pattern by Zeens and Roger and adding my own crochet flowers. A rainy day well spent! 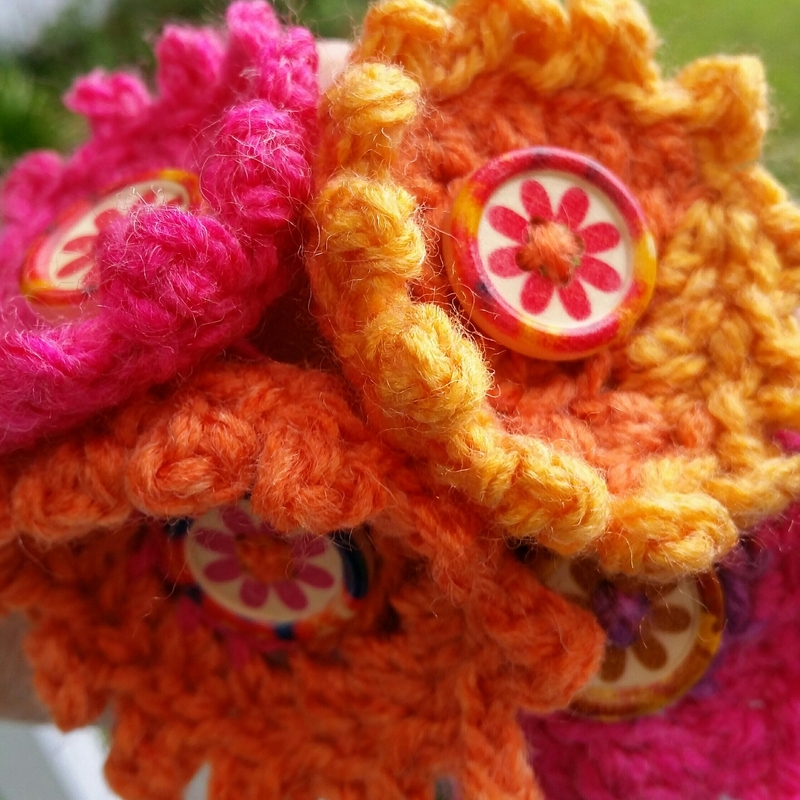 Such happy bright colours, and beautiful buttons too.